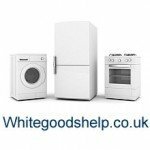 If in the market for buying washing machines these articles contain advice and help. 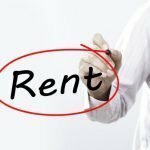 There are also many resources and links to help buying. Please consider using affiliate links on my site which help keep it running. We pay a fair bit extra for a washing machine with a slightly faster spin. Is there an optimum spin speed, and anything faster is unnecessary? – Or is it a case of the faster the better? If it’s the latter, how come the spin speeds just keep creeping up 100 rpm at a time? Do washing machines with a hot valve use much hot water? In most cases apparently not, and this is the crux of the argument for cold fill washing machines. Even if you have a hot and cold fill washing machine the chances are your washing machine won’t even call for any hot water on most wash cycles including the most commonly used 40 degrees cotton wash.
Are Reconditioned Washing Machines Any Good?